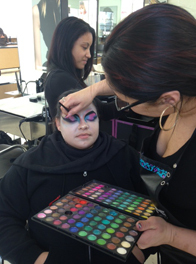 Accredited since 1980, our cosmetology school in Allentown, PA is a great place to start your beauty career. Serving the beautiful area of the Lehigh Valley, our school is only a short drive from NYC and Philadelphia. Start your future today! Upon your form submission, our representative will contact you via telephone, email, text, or prerecorded message regarding The Beauty Institute programs, offers, events and announcements. You are not required to provide your consent in order to purchase any product or service. 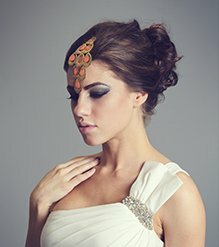 If you have the drive, talent and passion to be successful in the beauty industry, invest in your future. Education is one of the best investments you can make. Financial aid is available to those who qualify! Our dedicated and experienced cosmetology teachers are passionate about your education and aim to build your confidence while elevating your hairdressing skills. Meet the Allentown education team! At The Beauty Institute I Schwarzkopf Professional cosmetology school in Allentown, we pride ourselves on extraordinary customer service. Our students and staff are educated thoroughly and exhibit professionalism at all times to make everyone’s experiences unforgettable. 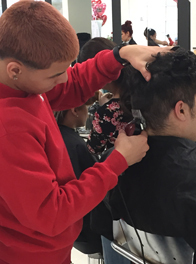 Whether you’re learning in the classroom or on the salon floor you will be surrounded by students and instructors who mirror your dedication to the craft. TBI will prepare you to pass the state licensing exam, but more importantly we will help to prepare you for the next step: your career. Fill out our form on the right to get started in an exciting career in the beauty industry. 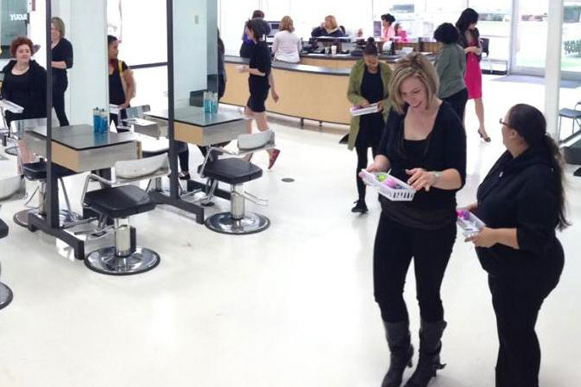 Our beauty school in Allentown looks and feels like a high-end salon. 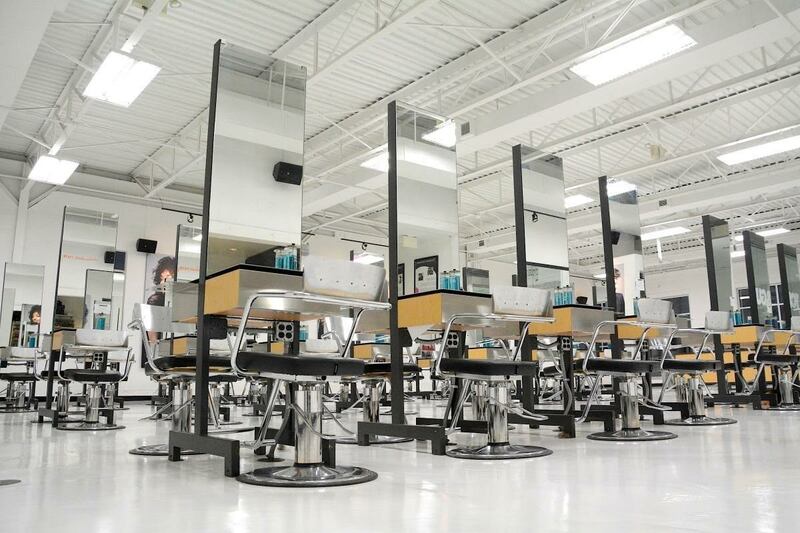 The walls at The Beauty Institute | Schwarzkopf Professional school of Allentown are as modern, attractive and functional as the skills we teach within them. We take pride in our facilities and work to ensure that our students put theory into action every day by having them learn and study in a real salon setting. Graduates leave our school with the skills to work as a stylist, the clients to sustain business, and the support of our alumni and community networks. Being a TBI grad opens doors for students, come make Allentown more beautiful with us! Save up to 51% on haircut, conditioning and color treatments with one of these three options! Revamp your style and nourish your hair at the hair academy known for teaching the most advanced styling methods and up-to-date styles in the world. Choose from a haircut ($15), single-process color or partial highlights ($37) or full highlights with toner ($42). All services include cut, deep-conditioning treatment, shampoo and blow-out. I could not have done that without your help! The Beauty Institute | Schwarzkopf Professional was truly the best pick of schools I chose from and I'm so proud to have graduated from there! I have also received so many compliments from other stylists in my salon saying how they would have never guessed I graduated 3 months ago and how professional I am, so again Thank You! Here at The Beauty Institute | Schwarzkopf Professional the experience is really awesome. I started back in November. When I first started I didn’t even know how to comb a girls hair, and I was really overwhelmed, but the staff and teachers are really awesome. They help you out, and I’m really happy I started. The annual Allentown Student Soirees showcases student talent in a live fashion show style environment! 100% planned and produced by students and held in a local hotel ballroom, the Soiree is your chance to see your work come to life on the runway. Our annual Student Competition is a unique opportunity to jumpstart your portfolio while you are still in school. 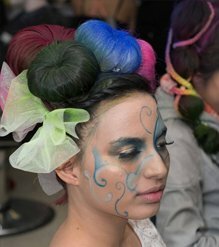 Gain national exposure and put your work in front of beauty industry professionals while competing in a special students-only category.